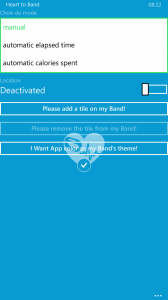 Heart to Band is a way to drop all your hear Beat mo,itor to be replaced…. 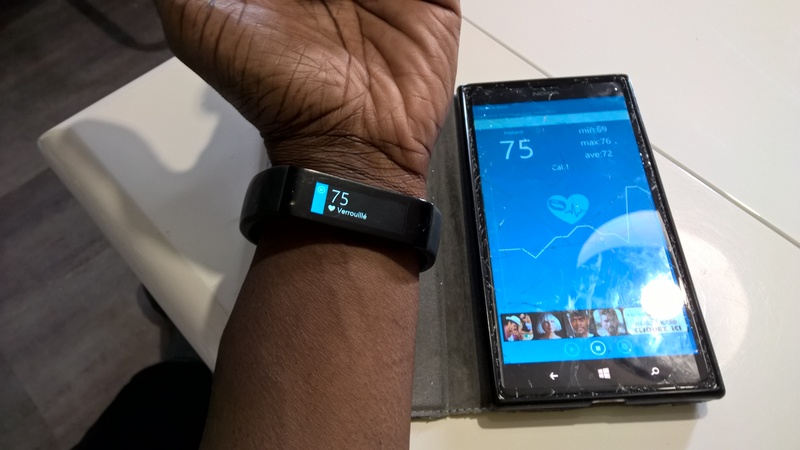 By your Microsoft Band for sure! 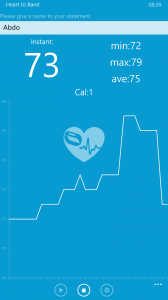 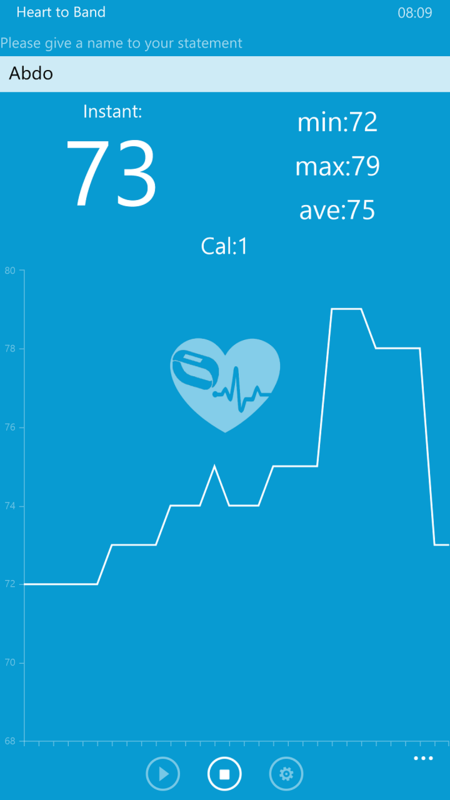 It is an universal application (for smartphones and PCs/tablets) that allows you to monitor your heartbeat and calories spent from your Microsoft Band. 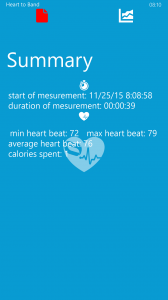 Thus this application can record your location if you make exercises by moving. 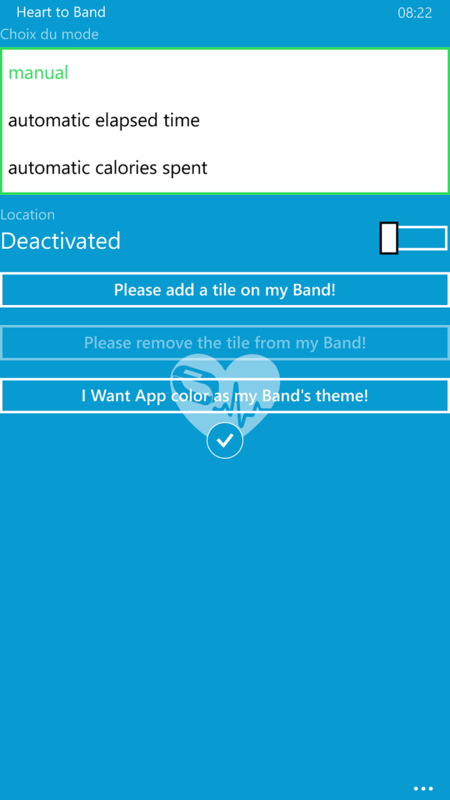 You can start/ stop the measurement … from the band by installing the application’s tile and give the application theme to your Band! 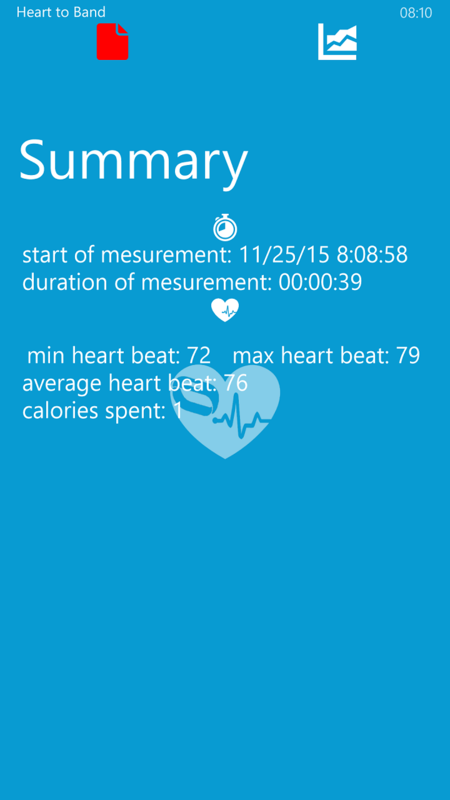 All the measurement can be recorded on the application and can be viewed later.